Trendy bottoms are running rampant in stores everywhere, with multiple options to choose from every style. From patchworks to floral, from shorts to denims from lycra to cotton, market is full of choices, join the long list of comfy and trendy bottoms and look glamorous as never before. All of us have our own body types and if dressed according one can create magic and make you look different. For a shot waist body type one can try with a low rise bottoms with a belt while a long waist body can do either ways. One can create a fashion illusion with the kind of clothes they wear. Either you posses a pear shaped body or apple shaped body whether you are short or tall you can always manage to look good and hide your flows with the choice of clothing. Fashion changes with time. We tend to follow others blindly but when we combine fashion with our culture, it can make a difference. 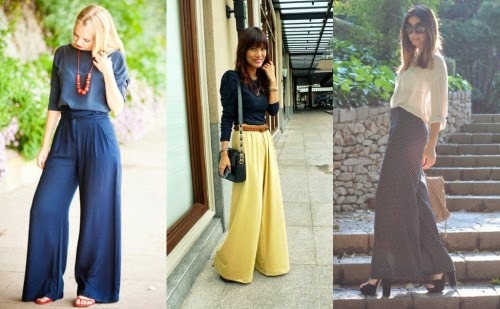 In 1960’s and 1970’s bell-bottoms pants with legs that become wider below the knee were an extremely popular trend. The belled or flared legs on the pants were originally of functional design. The clothing of this new fashion was inexpensive and extremely casual. But time has changed. Fashion today is important as a means of interpreting social attitudes and values in a particular way and not only that it is one of the world’s most important creative industries and a major output of a global business. It is a luxury nowadays. From trousers to pants and denims a vide variety lures us these days. It not only adds a colourful variety in life but also adds to the cultural wealth of the country. Market offers variety of options to choose from. Online shops offer large variety of bottoms to choose from, on discounted rates. On the other hand one can visit the branded stores nearby. One can re-invent oneself and play with the choices available such as harem pants, coloured trousers, shorts printed pants flared jeans, camouflage cargo pants, capris, cute track pant. One can easily turn a normal pair of pajama pants into a cute and on-trend pair of track pants. Come out of those horrible giant crotch-pouch pants and redefine yourself with trendy bottoms. Market is flooded with multiple choices and prints. Get bold and vibrant look and flaunt as never before refashion yourself with printed trendy bottoms. Join the long list of comfortable and trendy styles today. Explore the collection of the bottoms available in the market. Be a fashion addict and look trendy everyday.